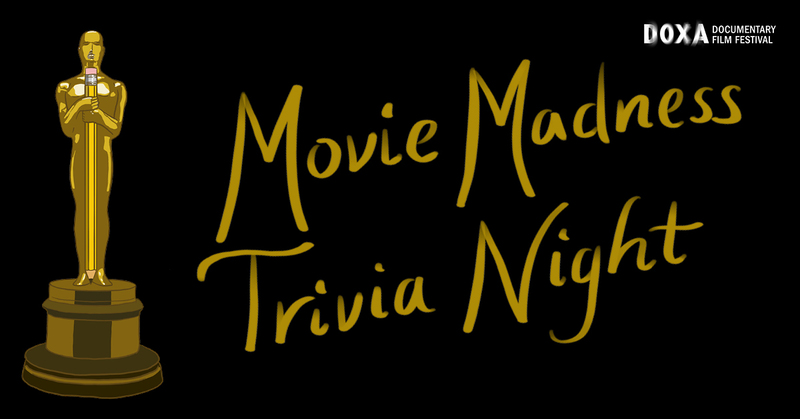 Calling all movie lovers, film fanatics, documentary buffs, and trivia titans! Join co-hosts Lisa Christiansen and Andrea Warner from Pop This! Podcast for an evening of trivia by Quiz Master Carlos to raise money for DOXA Documentary Film Festival (May 2-12, 2019). Tickets are $30 per person. Play solo or as part of a team, up to 6 people per team. Register your team and your team name by April 25 by emailing events@doxafestival.ca with the subject line DOXA TRIVIA. There will be prizes, theme rounds, and bragging rights. Challenge the DOXA staff, your friends, or spark up a new rivalry as you face off at the best pub quiz of your life.